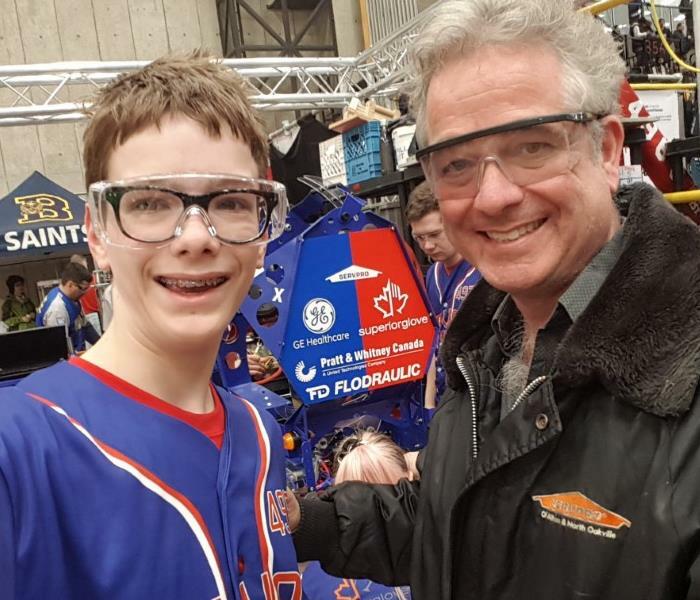 Revolt Robotics team member Alec Cook is pictured in the pits with franchise owner Bradley Cook in front of Revolt Robotics 4976 robot. SERVPRO® of Milton & North Oakville is pleased to sponsor to sponsor the Georgetown District High School robotics team "Revolt Robotics" in their FIRST Robotics Canada season. Congratulations to the team on their 5th place performance in the Ontario District University of Waterloo competition March 22-23, 2019. The team is now ranked 35/173 in the province! We had been called in to correct a sub-par water remediation performed by a competitor. The homeowner had experienced a leak in the kitchen from a burst pipe, which lead to extensive damage on the main floor and the fully finished basement. The competitor had performed initial demolition and placed drying equipment, but did not get the property completely dry before removing the equipment. A few days later, mould had flourished on both levels. We were called in to perform the mould remediation on both levels, so that the home was fit for reconstruction. We worked co-operatively with an independent industrial hygienist, the insurance carrier, and the homeowner to resolve this situation as quickly as possible so they could move back in to their home. This is our extraction Truck! As professionals working in the business of water damage mitigation, we are often asked for advice about what to do when there's a water intrusion at a home or business. The first priority must always be safety. A flooded basement, for instance, poses a risk for electrical hazards from electrical devices that are plugged into outlets. If you have any doubts, call a professional right away. If it is sparking, smoking, or a suspected electrical fire, get out and call 911. Another concern is the type of water. For example, grossly contaminated water from a sewage backup must be treated differently than clean water from a burst supply pipe. Turn off the water at the source, if possible. And please remember that a burst pipe is not a plumbing emergency: it is a drying emergency. Once the water has been shut off, the plumbing can be repaired at any time. However, the structure needs to be dried ASAP to minimize damage and prevent mould growth; mould fungi can begin to form in as little as 48 hours, so time is of the essence. Here are a few more DOs & DON'Ts. DON'T: Turn on ceiling fixtures if the ceiling is wet or enter rooms where ceilings are sagging from retained water. On Saturday January 19th 2019, at Parliament hill there was a woman's march. There were participants from all across Canada that participated in the March! 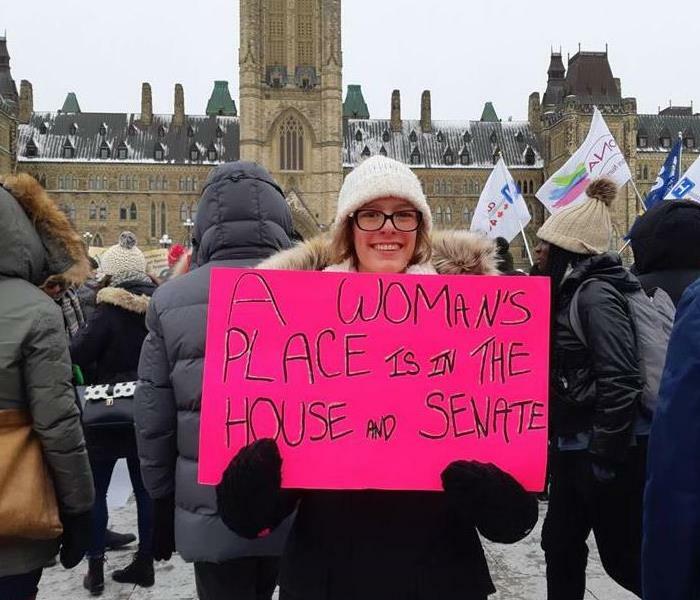 One of our very own, Gillian here from SERVPRO was up in Ottawa at the time of the March and despite the frigid temperatures, she enjoyed herself! The march started as a rally with speeches and drumming, then the march started down Bank Street to Lansdowne! The movement works towards woman and their rights, also towards protecting reproductive rights and acknowledging issues face by the LGBTQ community, indigenous people, immigrants and people with disabilities. SERVPRO is very proud to have had one of our own participate in the March and happy to Support Gillian as she enjoyed herself up in Ottawa on the weekend! 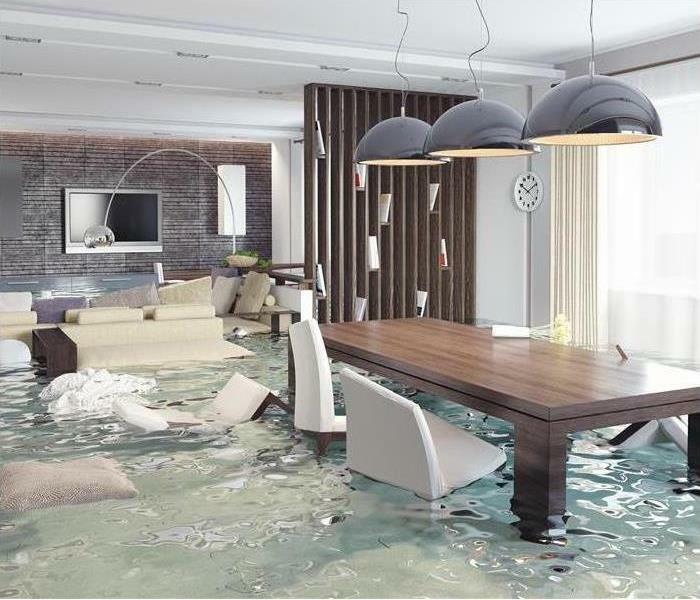 Untreated water damage can cause mould to grow quickly. Microscopic mould spores naturally occur almost everywhere, both outdoors and indoors. This makes it impossible to remove all mould from a home or business. Therefore, mould remediation reduces the mould spore count back to its natural or baseline level. Some restoration businesses advertise “mould removal” and even guarantee to remove all mould, which is a fallacy. Lightning Storm Tips from SERVPRO of Milton & North Oakville! Lightning is one of the leading causes of weather-related fatalities. The odds of being struck by lightning in a given year are only around 1 in 500,000, but some factors can put you at greater risk for being struck. Here are a few lightning safety tips. Remember the phrase, “When thunder roars, go indoors.” Find a safe, enclosed shelter when you hear thunder. Safe shelters include homes, offices, shopping centers, and hard-top vehicles with the windows rolled up. Do not lie on concrete floors and avoid leaning on concrete walls. Lightning can travel through any metal wires or bars in concrete walls or flooring. Make Sure Your Business is Emergency Ready! SERVPRO will help ensure you and your business are “ready for whatever happens” and minimize business interruption by having an immediate plan of action in place for your facility. The ERP is a comprehensive document containing critical information about your business, including: Emergency Contact Information, Shut-off Valve Locations and Priority Areas. The ERP is also accessible online using your computer or tablet; download SERVPRO’s free Ready Plan app to access this information at any time using your smart phone or tablet. The ERP establishes your local SERVPRO® of Milton & North Oakville l as your disaster mitigation and restoration provider, giving you access to over 45 years experience and a System more than 1,700 Franchises strong. Flood Damage Do's and Don'ts! You take control of your Home. 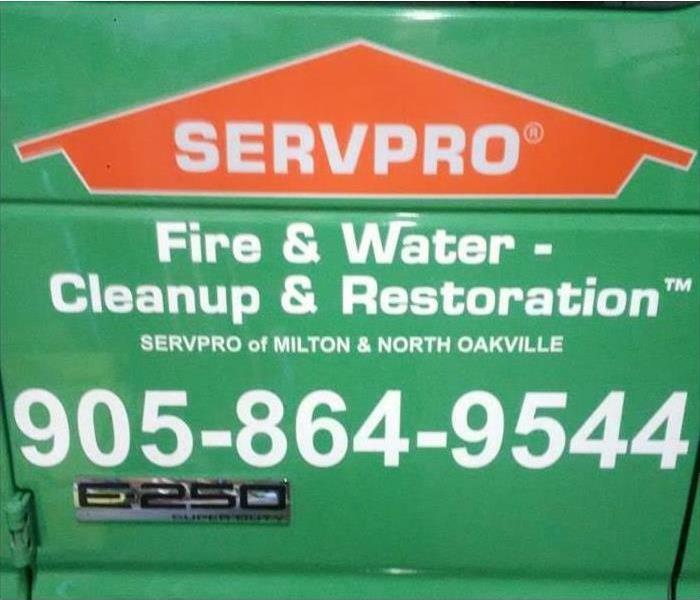 SERVPRO of Milton & North Oakville specializes in the cleanup and restoration of commercial and residential property after a water damage event. Our staff is highly trained in property damage restoration. From initial and ongoing training at SERVPRO’s corporate training facility to regular IICRC-industry certification, rest assured our staff is equipped with the knowledge to restore your property. A house fire is traumatizing. Even when everyone makes it out safely, even when the fire is contained to a small area, you will be left thinking of what could have been worse. Plus, you will have a mess that cannot be cleaned with conventional consumer products. These tips will help you take back control of your life following a house fire. If you attempt to clean painted or papered walls with typical household cleaners, you may fix the soot into the material. Suddenly, what should be a simple cleaning job may require painting or new wallpaper. Again, household cleaners will not be effective removing soot from carpets and upholstery. Instead you risk making a temporary stain permanent when you attempt to clean fabrics yourself. Fire restoration professionals have commercial cleaning products that can safely remove soot from rugs, carpets, and upholstery. When electronics like computers, radios, and televisions have been exposed to excessive heat or water, they should be inspected by an authorized repair service before you turn on the power again. Trust the professionals to avoid electrocuting yourself or igniting another fire. Foods that were not fully sealed should be considered contaminated following a fire. In addition, sealed foods that have been exposed to excessive heat may also be unsafe for human consumption. Check with a trained fire technician to learn what can be salvaged and what must be discarded. If the power is out after a home fire, an electrician should inspect the building for safety before power is restored. If the power remains on, you should still avoid using overhead lights, ceiling fans, or other appliances that may have suffered fire or water damage until they have been inspected by a qualified professional. Some drycleaners specialize in fire restoration. Others do not have the training and materials to properly clean clothes exposed to soot. If you want to salvage your clothes, be sure to take them to a drycleaner who specializes in cleaning after a fire. Here at SERVPRO® Milton & North Oakville, our IICRC-certified fire restoration technicians have the training and experience to guide you in getting your life back following a house fire. Trust us to help you restore your home and peace of mind. 1/24/2019 - The Do's and Don'ts! 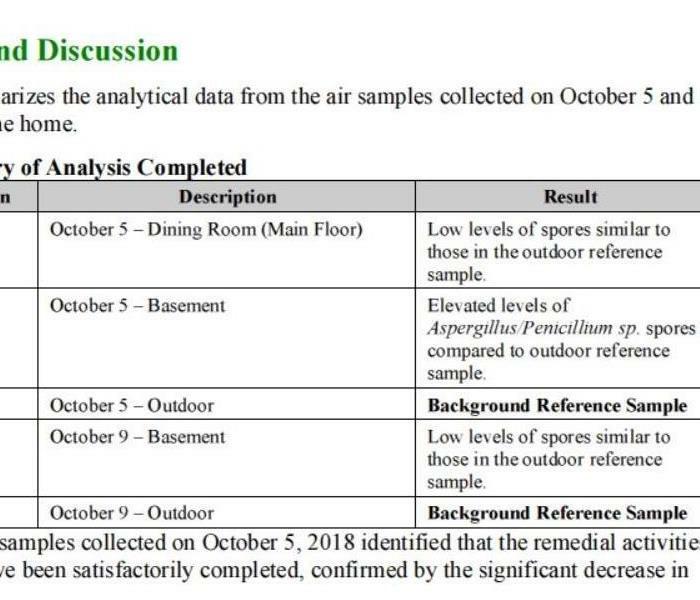 9/26/2018 - Does Your Home Have A Mould Problem? 9/25/2018 - Lightning Storm Tips from SERVPRO of Milton & North Oakville! 9/21/2018 - Make Sure Your Business is Emergency Ready! 9/19/2018 - Flood Damage Do's and Don'ts!